We love giving back to not only our community in Salem, MA but the city of Boston as a whole! 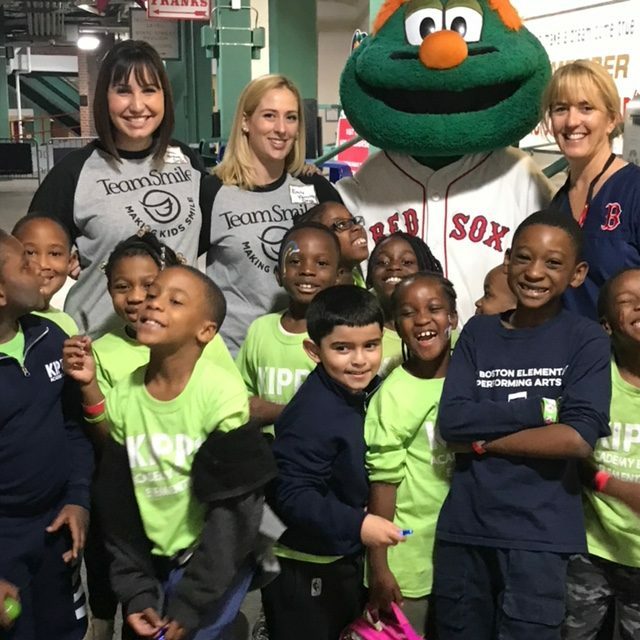 Last month, we had so much fun volunteering with the Boston Red Sox at their Team Smile event. Our own Dr DeLuke, Dr Helyne Hamelburg, Hilary, Bri and Emily all were part of the action! The event provided underserved children with a free oral health care check as well as a fun baseball experience! It created a sense of fun and adventure for all involved. We had so much fun giving dental exams and teaching the kids about the importance of brushing their teeth!